Now into it’s 32nd year, the Classic Car Show held at the NEC in Birmingham remains a staple of the UK’s annual motoring events calendar. 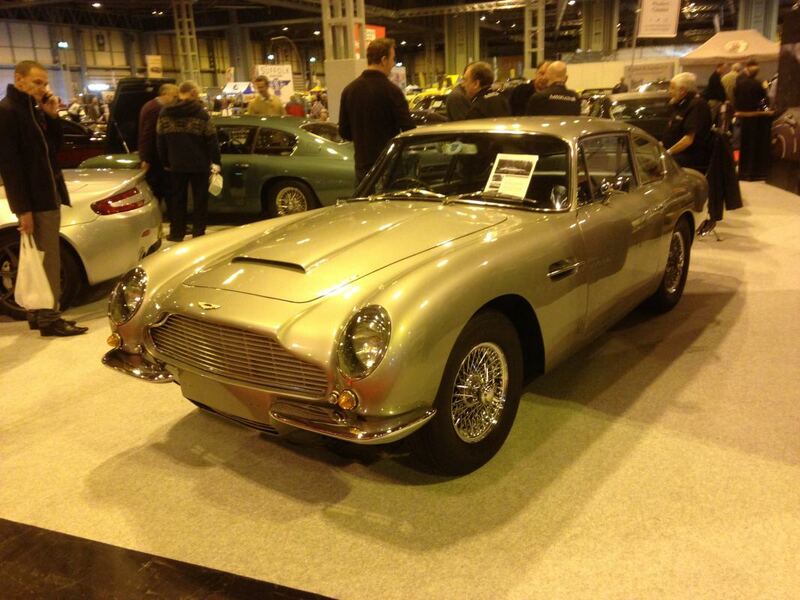 Spread over 5 halls within the NEC and featuring over 2,000 stunning classic cars, the 3-day show regularly attracts in excess of 70,000 car enthusiasts and trade visitors alike. With numerous trade stands, club stands, appearances from motoring celebrities like the Wheeler Dealers guys, a live restoration theatre, a dream rides section, a live auction and a separate motorbike area, there really is something for everyone. Having visited the show a few times before, I returned this year after a 3-yr absence and was not surprised to find that the quality of the show was as impressive as always. There wouldn’t be enough space here to list the huge array of exotic and classic cars on show, but suffice to say it was an eclectic mixture – from pre-war and post-war cars up to the 50s, 60s and 70s ……….. right onto modern classics from the 80, 90s and 00s. As expected for an English show, there was a notable presence from enthuasists for the home-grown brands such as Lotus, Rover, Land Rover and Jaguar, with some superb examples from each on display – including an extremely rare Jaguar XJ220 and a large number of Land rovers, both standard ‘farm-spec’ and more recent modified/personalised examples. Europhiles were not to be disappointed either; Britain may have made it’s Brexit, but there was still a veritable deluge of iconic French and German machinery at the show, including a handful of 205 T16s, a lovely Williams Clio, some notable Golf GTi restorations and some eye-catching E30 BMWs. The Porsche Club GB also had one of the largest stands at the show with a truly mouthwatering display of classic Porsche models, almost all in amazing condition – 924s, 944s and 928s, many 911s and other rarities in between. One particular 993 Turbo model had a £300k price tag on the window. The Japanese and American markets were also well catered for. There was an unusually large selection of American muscle this year which served as a welcome motoring distraction from the election chaos going on. One particular Shelby Mustang made everything around it look plain by comparison. On the JDM side of things, a rare (and tiny) Honda S800 personified the ‘less is more’ ethos whilst the MKIV Supra club brought along some of their best examples to fill out the Supra stand. We were also treated to some nice 300ZX variants including a rare targa model. I was however intrigued to find that there wasn’t a single AE86 anywhere to be seen – I assume they were all busy doing cone-work somewhere in Ireland. The trade stands (some of which filled almost an entire hall) made a welcome distraction from the sensory overload experienced after viewing so many hundreds of memorable cars. With everything from tooling to model cars to automotive furniture and clothing, there was plenty of stock on offer for anyone wanting to bring home a treat or two. The live auction remains an entertaining distraction also. With many of the cars running well into the tens of thousands, many of us could only spectate rather than participate, but it still made for entertaining speculation as the bids on some rare models (both physical bids and online ones streaming in from around the world) leapfrogged each other. As impressive as the show itself is, the venue also deserves a notable mention. Despite the thousands of visitors, we experienced very little queuing at any time and there are more than enough food, refreshment and toilet facilities to cater for the large numbers of punters streaming through the doors. With flights into Birmingham airport being very reasonable in terms of pricing and the NEC only a 2-min (free) shuttle away from said airport, it really couldn’t be easier to get to. With the accessibility, overall quality of the show and the varieties of cars and stands on offer, I would have absolutely no qualms in recommending it as a must-see show for all car enthusiasts. My mate goes every year and loves it. I've not been myself. | My mate goes every year and loves it. I've not been myself. Interested to hear what its like, went to the Autosport show in the NEC and its at the airport. Could go over for the day and fly back no problem if you had wanted. | Interested to hear what its like, went to the Autosport show in the NEC and its at the airport. Could go over for the day and fly back no problem if you had wanted. I'm flying out the Friday morn at 7 and back at 8 that night. Pointless stopping over for 1 day. I'm meeting a few guys from the peugeot sport club and they have said it is one of the best shows they attend! It's class. In two minds here about whether to go this year or not.. Flights are still cheap but haven't checked accommodation. Great show filled with all sorts of stuff, absolutely massive too! | It's class. In two minds here about whether to go this year or not.. Flights are still cheap but haven't checked accommodation. Great show filled with all sorts of stuff, absolutely massive too! Awesome show would highly recommend it, nearly need the two days to get round it right. My dad and @Gaz are heading over Ciaran you'll probably run into them. Yeah heading over on Fri morning, prob take our time and spend 2 days going round the show then fly back Sunday morning. Hopefully squeeze in some beer and food too. My Dad goes every year, I've been a few times but not in the last 4 yrs. My mate drives over cause he is a complete magpie and has to buy something no matter where he goes. So he hates the idea buying something and the hassle of getting it home.